Hydrodemolition is the process of using high pressure water jet equipment to effectively remove old and damaged concrete. It provides an alternative to conventional forms of demolition, and can achieve excellent results with a wide range of structures and challenges. What are the Benefits of Hydrodemolition? The safety of our operatives is always a priority, and this is one of the reasons why we love hydrodemolition. Equipment that requires high levels of vibration can, over time, compromise health and potentially lead to hand-arm vibration syndrome (HAVS). One significant advantage is that our specialist water jetting equipment doesn’t require vibrations for its use, unlike conventional demolition tools. There are also highly advanced robots such as the Aqua Cutter 410a Evolution. These allow for remote hydrodemolition to take place in even small and compact areas, helping us to keep operators out of harm’s way. Another benefit of hydrodemolition is its ability to be used within a wide range of situations. 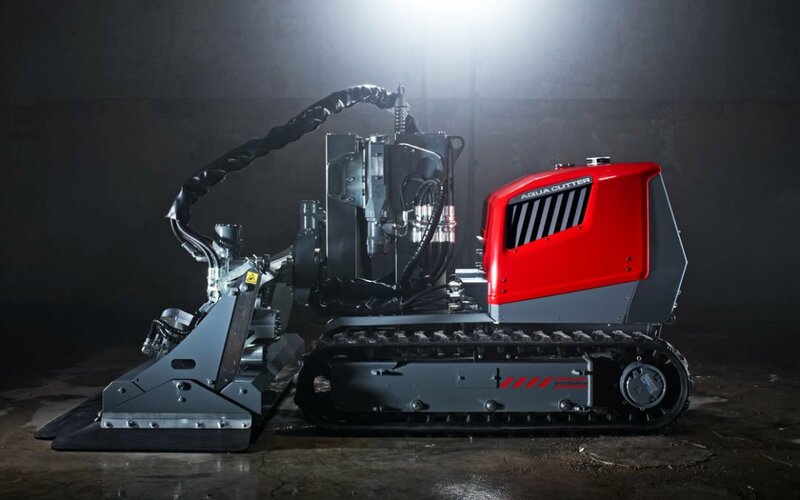 For example, our robots can perform hydrodemolition underwater or at height. Equipment such as the Aqua Spine can be secured in a variety of positions, making it suitable for surfaces such as offshore structures and nuclear power plants. High pressure water jetting offers a great advantage over alternative methods- its accuracy. The advanced programming of our robots alongside the precision of the blast means that you’ll only remove the old or damaged concrete, everything else will remain intact. This means that you can be picky about what needs to be removed and what is OK to remain. Alongside this, you won’t run the risk of damaging any structural steel that may be below the surface. The method can also remove contaminants such as chlorides, which allows for better bonding with the new concrete. 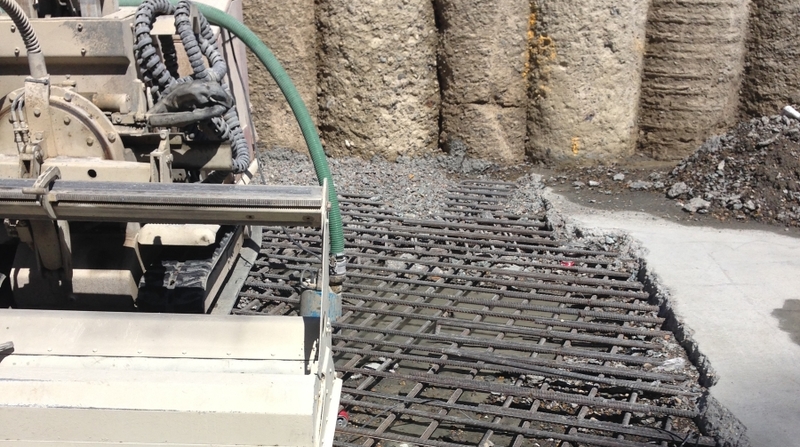 If you need maximum accuracy, Hydroblast can use the Equal Distance System (EDS) to control the removal of concrete. The efficiency and safety of our robots are both provided for with its Intelligent Sensing Control (ISC). This great system lets the technician control the device with its own onboard computer. Traditional methods tend to involve noisy and dusty processes; causing considerable disruption to their surroundings. However, hydrodemolition causes virtually no dust and greatly reduces noise pollution. The waste water from the process can be captured, cleaned and recycled in order to stop it contaminating natural water sources. Our cleaning process is extensive, so you can be assured that the water will be safe before it is returned to the environment. Hydrodemolition is often a far quicker and more efficient process than other types of demolition, and this comes with certain economic advantages. For example, the process itself is likely to be more cost-effective. Another financial advantage of hydrodemolition is your business will require less operational downtime, meaning fewer losses are incurred by you! When it comes to water jetting and hydrodemolition, Hydroblast are one of the UK’s leading providers. We have a range of skills and expertise, and we always strive to invest in the newest water jetting technology. Our team are also kept up to date with safety and knowledge procedures so they can offer efficient and effective services to our customers. We offer both manual and robotic hydrodemolition, and we are meticulous in planning our processes. We also make sure that every job is tailor-made to your needs so that you can achieve the best possible results. To enquire about any of our services, please contact a member of our expert team today at [email protected].